HP20 is a high performance stereo phono amplifier for MM and MC phono cartridges. HP20 offers exceptional performance in terms of transparency, dynamic and extraordinary imaging capability at its price range. Ultra low noise semiconductor devices and audio grade electronic components are extensively used in HP20. 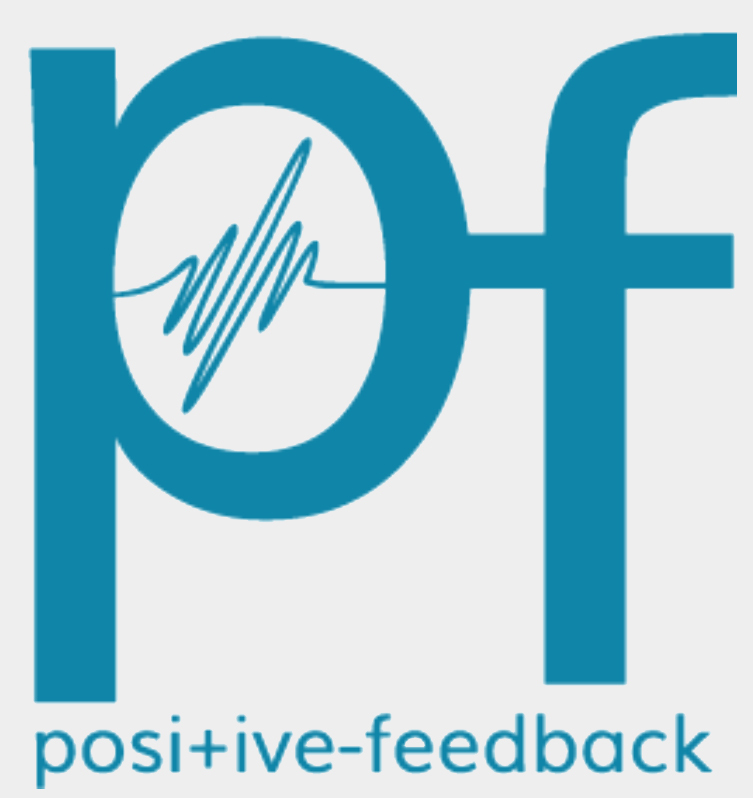 We have implemented passive RIAA equalizer for HP20 because the elements of the equalizer have less coloration to the sound compared with active feedback RIAA equalizer. Two discrete ultra low noise precision DC regulated power supplies are used for main dual power supplies. Additionally, four ultra low noise power supplies are used locally near to the amplifying circuits. These ensure that power supplies are free from noise throughout the phono amplifier. 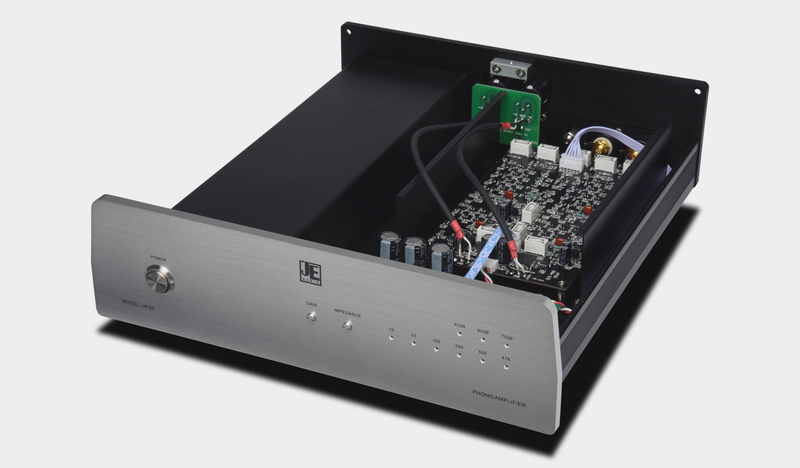 HP20 follows the same generic structure of the higher version phono amplifier HP10 except without having a vacuum tube output buffer. The sonic performance of HP20 is nearly identical to HP10 but at a much affordable price level. HP20 is an excellent choice for use with any phono cartridges. "I wasn’t surprised that it sounded good but I was surprised at just how good it sounded given its price tag. 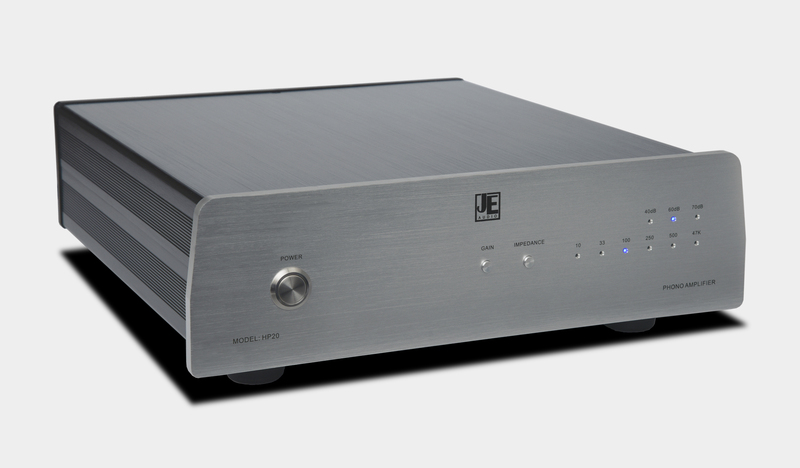 The HP20 has a sense of ease and openness to it that does not come with phono preamps at this price. It is very musical and eerily quiet with not much background noise. This level performance was more indicative of a more expensive preamp. Sonically, the HP20 does a fine job of capturing tonal colors and paints a picture with a palette that is slightly warm but not close to being objectionable. It won’t be confused with being a detail-hawk like a Klyne but the HP20 does retrieve a goodly amount of detail. 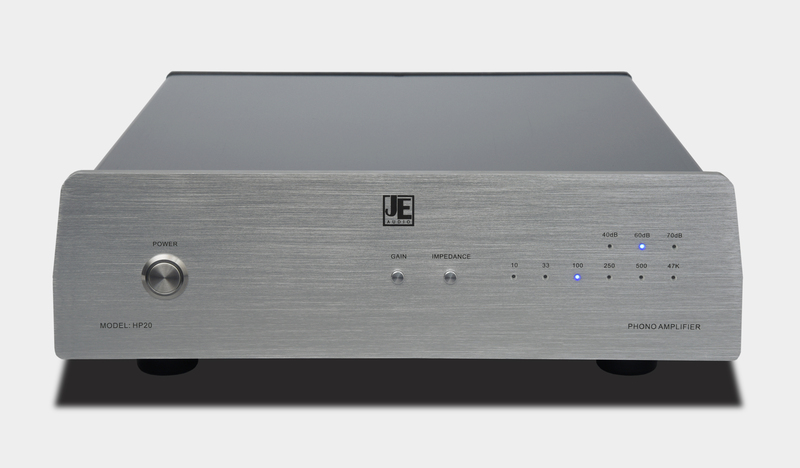 "I found that its combination of inherent musicality and a smooth, open midrange communicated the music in a way that reminded me of a good tube preamp. 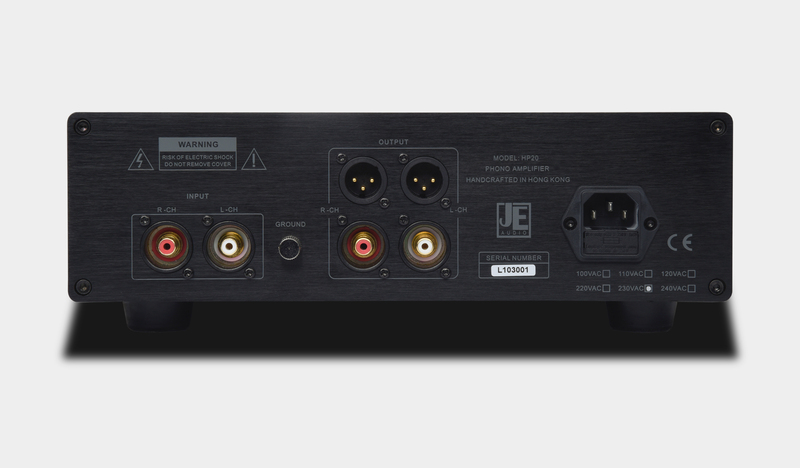 Furthermore, its low noise floor and compatibility with a wide swath of phono cartridges mean that it will work well in a variety of systems. I could live with the HP20 as part of my system, and contentedly, too." 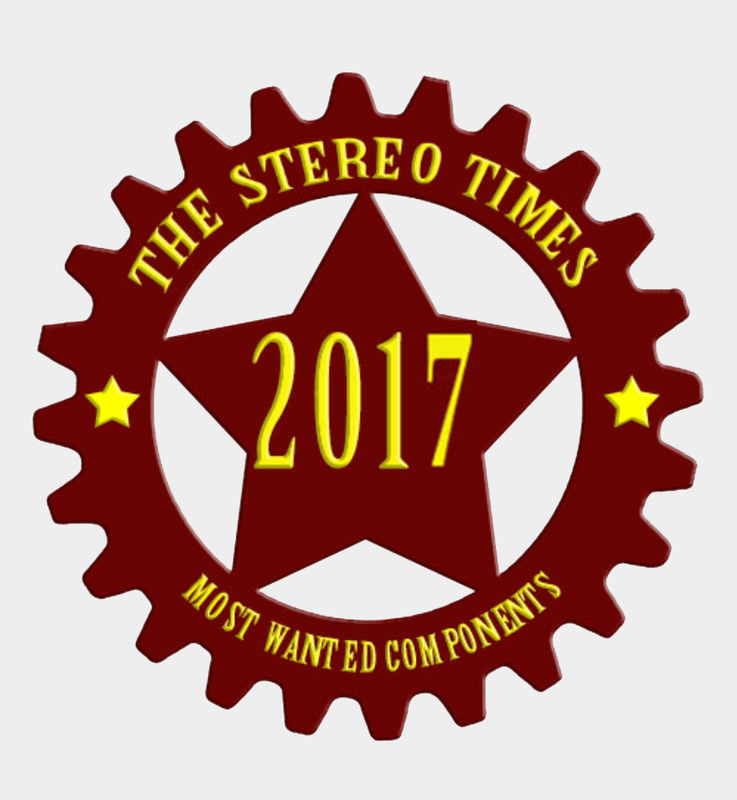 HP20 was named one of the 2017 Stereo Times "Most Wanted Components." Copyright © JE AUDIO 2015. All rights reserved.